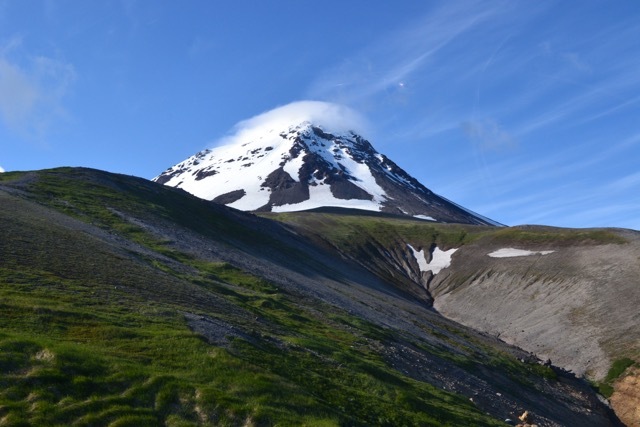 The 2015 season in Alaska was defined by resource sharing and cooperative work with a number of agencies. 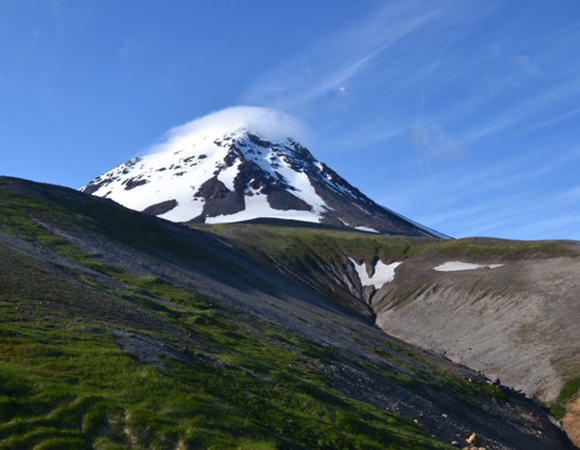 The largest collaborative effort was a week-long project based in Homer, Alaska with work on and around Augustine volcano. 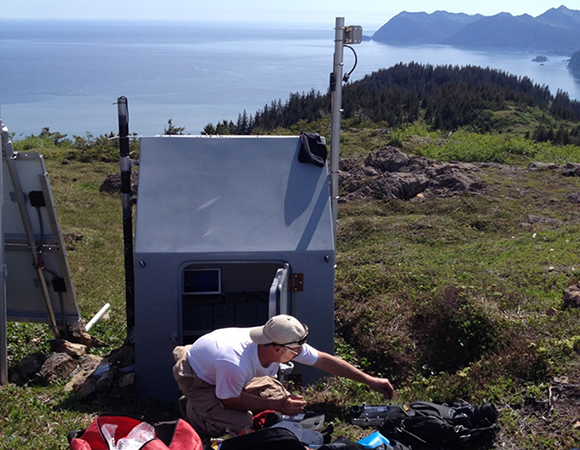 UNAVCO PBO field engineers worked with staff from the USGS Alaska Volcano Observatory (AVO) and IRIS, for the EarthScope Transportable Array (TA), on a project that shared both costs and resources. 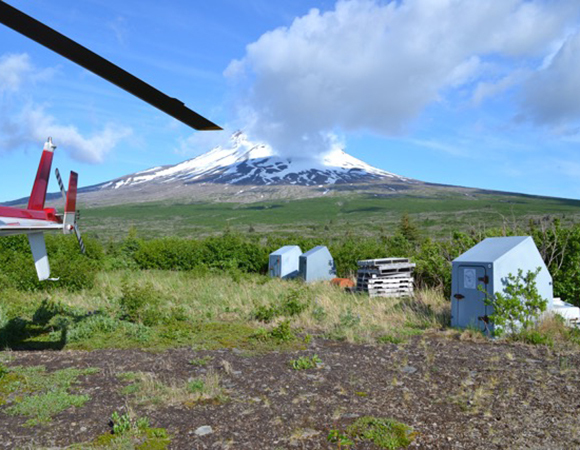 Work included PBO and AVO station maintenance, staging equipment and fuel for AVO and TA future work, and a major clean-up of the Augustine Lagoon Camp staging area. 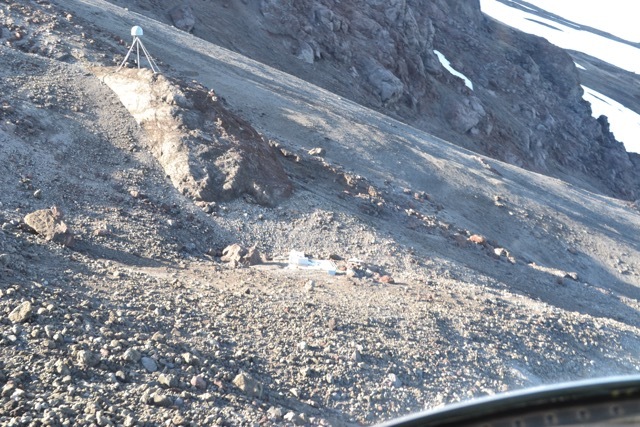 Personnel from each organization spent four days completing the work and the three organizations shared the costs for the helicopter, transport vessel, and fuel. 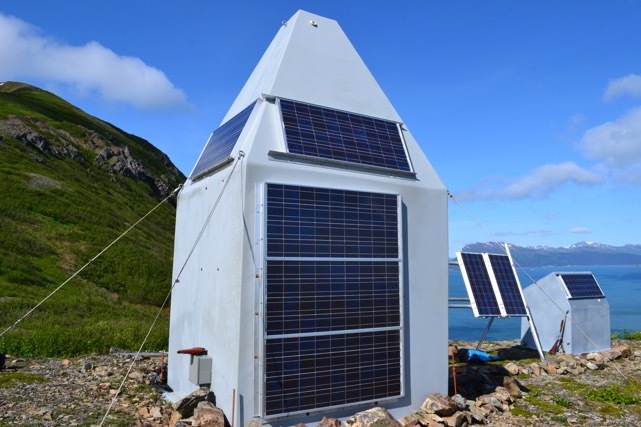 For UNAVCO, the primary goals for this project were to replace a hut at PBO GPS station AV19, complete battery swaps at stations AV01, AV02, and AC59, and perform radio maintenance work. UNAVCO staff included Ken Austin, Ellie Boyce, Heidi Willoughby, Korey Dausz, and Chad Pyatt. 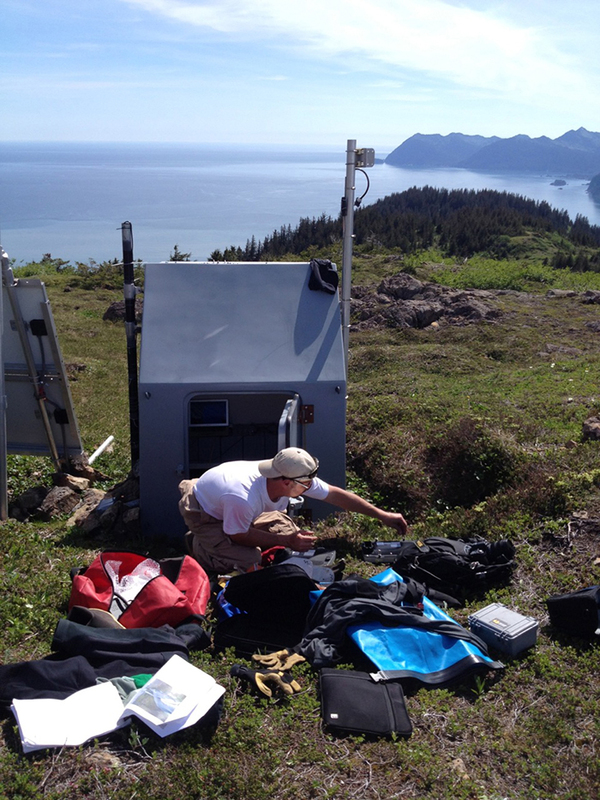 The first two days of field work consisted of staging fuel, batteries and equipment and moving the vessel into place near Ursus head. The next few days were spent backhauling old fuel, batteries, huts and other equipment. 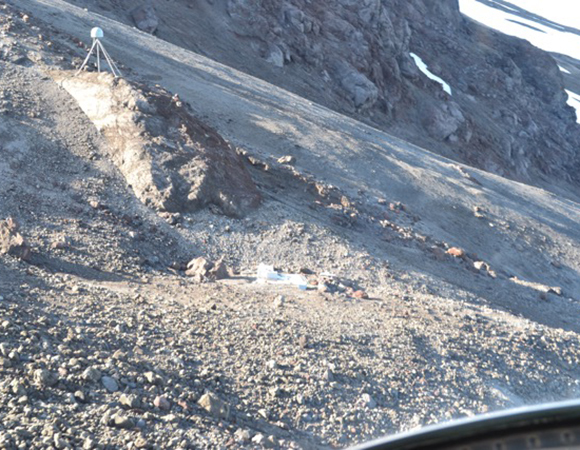 Also, the team set up a new fuel cache for future work. 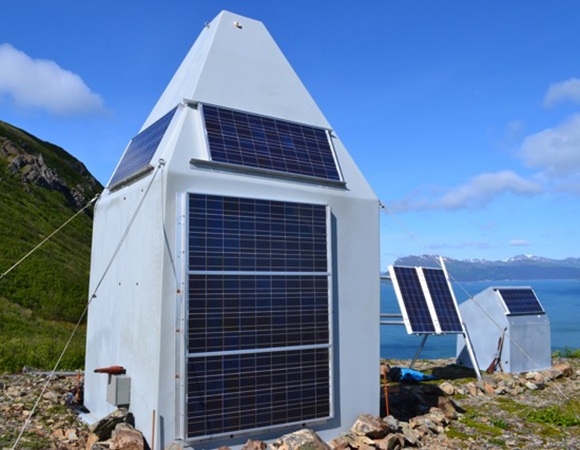 AVO crews installed a gas-monitoring hut on the summit of Augustine, while a PBO crew replaced and relocated the damaged hut at station AV19 (Figure 5). 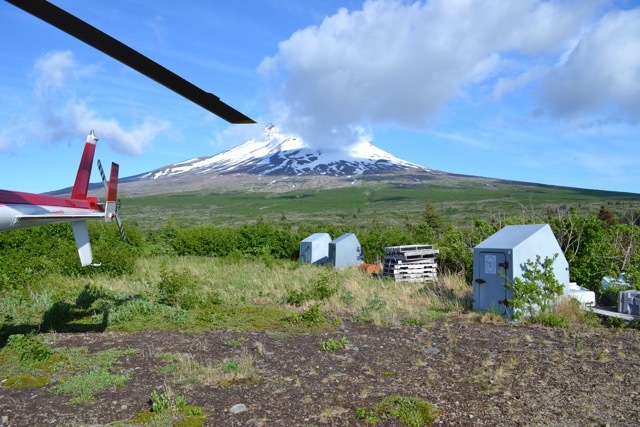 UNAVCO crews also made visits to all other PBO stations around Augustine volcano to complete routine and preventative maintenance, and upgraded radio infrastructure at AV01 to support new TA data streams.